The Australian Reflectance Grid (ARG) is a new generation Earth Observation product suite from Geoscience Australia. These standard data products deliver optical surface reflectance data across the Australian landmass and its coastal fringes. This means the products are representative of the optical reflectance properties of the surface, with the variable effects of the atmosphere removed. The resulting datasets are effectively sensor agnostic and future products in this suite are intended to be readily comparable between scales. The first product in this suite is the ARG25, a medium resolution (25 m) grid based on Landsat imagery.  The Australian Reflectance Grid (ARG) data is derived from Landsat data provided by the United States Geological Survey (USGS). The data is acquired by Geoscience Australia from its ground station in Alice Springs, or directly from the USGS. The data are processed using the National Computational Infrastructure (NCI) at the Australian National University (ANU). The data is processed to Level 1 Standard Terrain Corrected Imagery and then to Optical Surface Reflectance using the USGS Landsat Product Generation System and GA's Nadir BRDF Adjusted Reflectance (NBAR) algorithm.